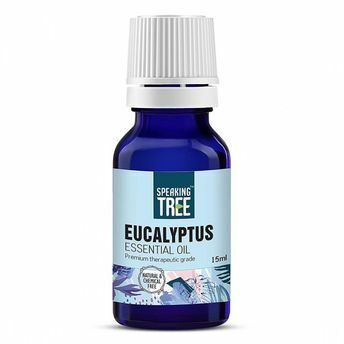 Speaking Tree Eucalyptus Essential Oil is a 100% pure, natural and undiluted oil that is a natural antibacterial, antifungal, antimicrobial, antiviral, and anti-inflammatory. It has an overall cooling effect on the body. Its pleasing aroma helps clear the mind and focus better. Alternatively, you can also find many more products from the Speaking Tree Eucalyptus Essential Oil range.